This is the first book to be published in this exciting new series on political philosophy. 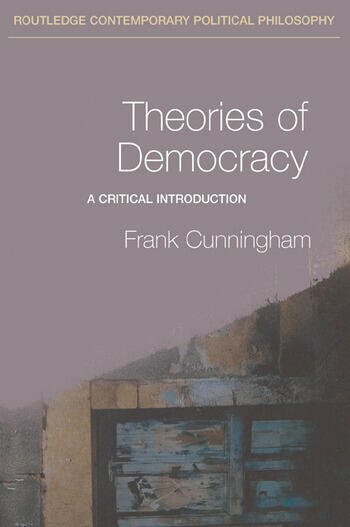 Cunningham provides a critical and clear introduction to the main contemporary approaches to democracy: participatory democracy, classic and radical pluralism, deliberative democracy, catallaxy, and others. Also discussed are theorists in the background of current democratic thought, such as Tocqueville, Mill, and Rousseau. The book includes applications of democratic theories including an extended discussion of democracy and globalisation.